I felt like someone finally understood how I felt, it was amazing! I’ve had GAD since I was a child but I didn’t know what it was. I never thought about it too much as it would only be there when I wasn’t feeling well or when I was going away from home. I thought that is how I was supposed to feel. When I was about 13 years old, anxiety and panic attacks became a huge part of my life. It all happened after I saw my grandmother attempt suicide, unfortunately it was not the first time. After that, we had serious family problems and issues and that contributed to make my anxiety much worse. I had emetophobia, for those that don’t know what that is, it’s a phobia that causes overwhelming, intense anxiety pertaining to vomiting. It became so bad that I couldn’t leave my house or eat properly. My family could not understand what was happening to me and they even thought I was making it up. I used to feel sick all the time but it was anxiety. I used to wake up at night feeling like I was going to be sick, that I would have panic attacks and I would start crying, but it was just anxiety. After a years of living like this, I decided that I just could not live like this and I did some research online. That is when I found DARE. I was scared of trying it, but I decided to buy the Kindle version. I started reading the book and then got to a part of the book that really scared me, “Run towards anxiety?! This is crazy!” so I left it for a bit. In the meantime I moved to the UK to go study and decided to start reading DARE properly and give it a real chance. Even from just reading the first lines in the book, I felt like someone finally understood how I felt, it was amazing! I then started practicing the steps in every situation I could and slowly but surely I started getting better. With a lot of hard work and my determination, I was finally able to do things again. I was able to get back to the things I loved. I went out at night with my friends, I went to a music festival, I went camping… I couldn’t believe that I was able to do all those things even if I was feeling anxious! It’s a journey and sometimes you have days that are not as good, but you still do the work and use the tools. I have had some setbacks but I can honestly say that I feel I am very close to recovery. I’m able to face every situation that triggers my anxiety, even though anxiety hardly shows up now! 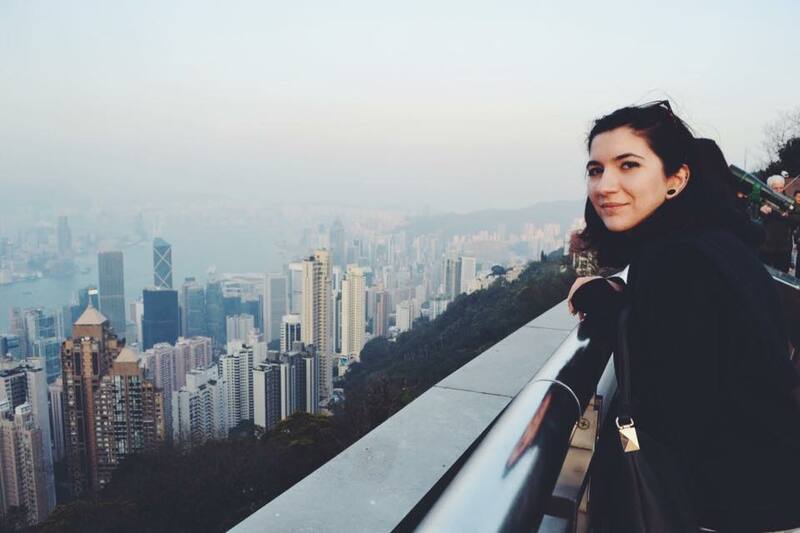 To prove this to myself, I decided to travel to Hong Kong for a week with my boyfriend for a friend’s wedding. I was of course expecting anxiety to be there but I was surprised to see that I didn’t have any sensations while in Hong Kong! I felt strong, I felt free. The things that helped me the most other than the running towards is finally understanding that I needed to defuse. So defusing the “I’m going to be sick!” And accepting the sensations helped me A LOT also that I had to stop resisting my anxiety and allow and accept that I had it. I don’t know where I’d be without Dare. When I say it changed my life, I mean it. Not only anxiety wise but in every aspect of my life: it gave me more confidence, it gave me the chance to get to know myself better, it made me become more positive and strong. It made me want to go on adventures, travel and explore. It gave me tools to face whatever life throws at me whether it’s anxiety, daily life problems, or serious/traumatic events. It gave me my life back and added a lot of things to it! Now that I feel so much better I can even help members in the group with their anxiety because I have been there! Thank you Dare, Barry McDonagh and the community for all that you are! Wow! Congratulation and very well done for the results achieved. Great testimony I deal with them once in a while thank you for your help ? i am on the path of recovery, i am thankful to Dare as well! Fantastic and thank you for sharing your story. Hi. I’m from Hong Kong even though I live in US now. I’m glad to learn about your story and proud of your accomplishments. Thanks for your story Sara. It sounds horrific but I’m so glad you are almost recovered. Keep daring ? 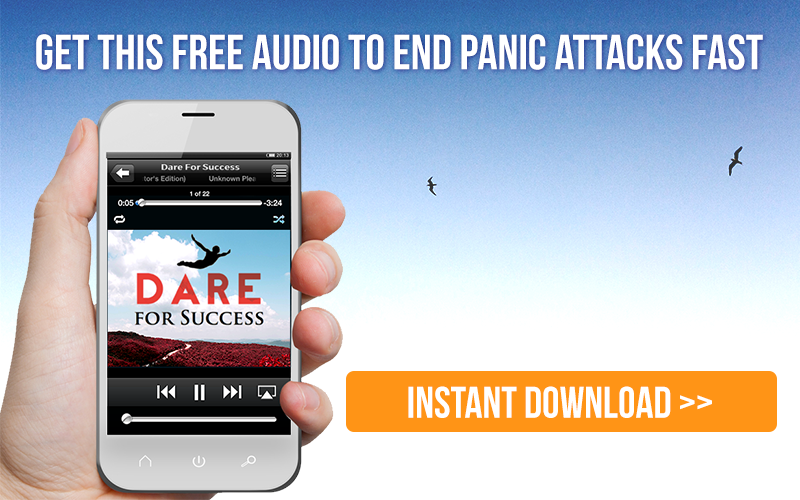 We all together with the help of DARE, must help every one to vanish panic attack and anxiety. Hello thanks for sharing your struggling with anxiety and panic attack. .What you had shared happened to me too. so I am not alone. I am a teacher working with young children.Year 2005-2007.I battle with it till I seek for help. I resigned from my career now I am relieving. Take care? Wow this is amazing journey you have been on thanks for sharing it as a lot was me as a little girl growing up. Thanks for sharing. Keep on going! You’ve got your life back, so go out and live it to the fullest. so proud of you, Sara! You are an inspiration to anyone with anxiety issues. Thank you for telling your story. You are a true inspiration <3 Thank you for sharing. I am new to DARE and it is a work in progress. Thank you for your story. It inspires me to keep working at this.